A monarch butterfly crawls around on a soft milkweed bloom while feeding on Ed and Patti Zink’s ranch north of Durango. The milkweed scattered around their land is attracting monarch butterflies. Researchers are working to get a better understanding of the migratory habits of monarch butterflies to keep the species from going extinct. A monarch beetle feeds on soft milkweed on Ed and Patti Zink’s ranch north of Durango. The milkweed is attracting monarch butterflies. 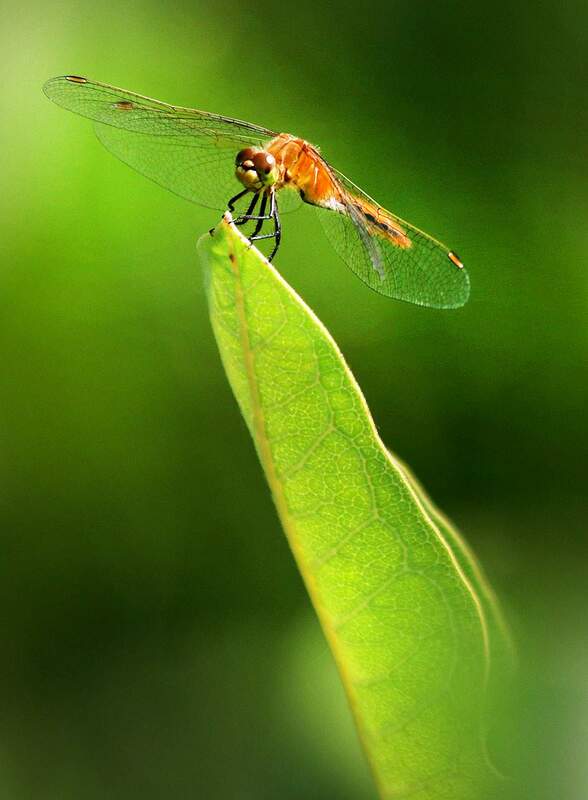 A yellow dragonfly sits on soft milkweed on Ed and Patti Zink’s ranch north of Durango. The milkweed attracts monarch butterflies. Fruit on a soft milkweed on Ed and Patti Zink’s ranch north of Durango attracts monarch butterflies. There’s a mystery surrounding the embattled monarch butterfly’s ways in Southwest Colorado, and researchers across the country are asking residents here to help solve it. Each fall, millions of monarch butterflies leave their summer breeding grounds in the northern reaches of the United States and Canada to travel more than 3,000 miles south to spend the winter in warmer climates. For years, the common understanding has been that monarch butterflies east of the Rocky Mountains traveled to Mexico, and butterflies west of the Rocky Mountains spend winters along the coast of Southern California. 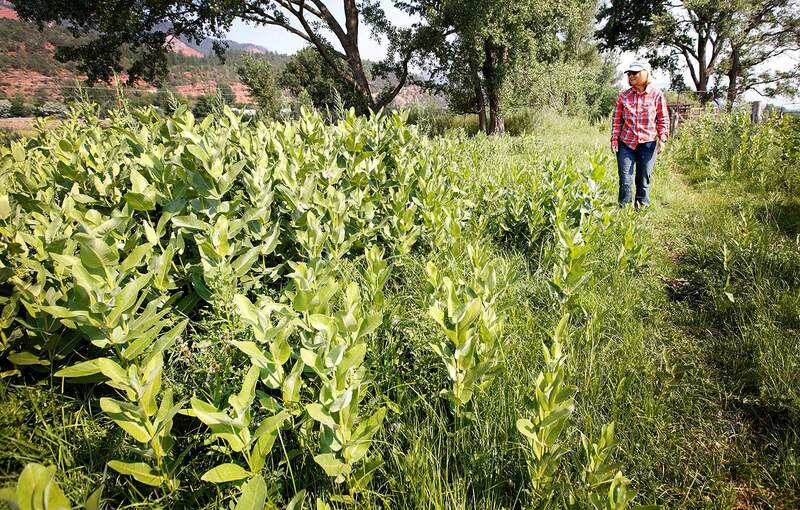 Patti Zink walks along a patch of soft milkweed on the family ranch north of Durango. The milkweed is attracting monarch butterflies. Researchers are teaching residents to identify monarchs and report sightings to an online database or physically tag the butterflies. But now, researchers are questioning where monarchs in between these areas – in stretches of the Intermountain West along Colorado’s Western Slope and in Utah – travel in search of a safe place to spend the winter. Researchers say understanding the migratory habits of monarch butterflies is essential to keep the species from going extinct – a real possibility. Since the 1990s, monarch populations across the U.S. have decreased a staggering 90 percent, largely because of the loss of milkweed habitat (their food source) and loss of winter habitat. The problem has hit monarchs west of the Rockies especially hard. There, monarch butterfly populations have fallen 97 percent. In 2014, the U.S. Fish and Wildlife Service was petitioned to protect the monarch butterfly under the Endangered Species Act, either as an endangered or threatened species. A decision is expected in June 2019. Seeds from a soft milkweed are carried off by the wind on Ed and Patti Zink’s ranch north of Durango. The milkweed is attracting monarch butterflies. But without information about how the monarch butterflies in the Intermountain West migrate and breed, it will be hard to come up with a plan to protect the species, said Sarina Jepsen, director of endangered species for the Xerces Society. 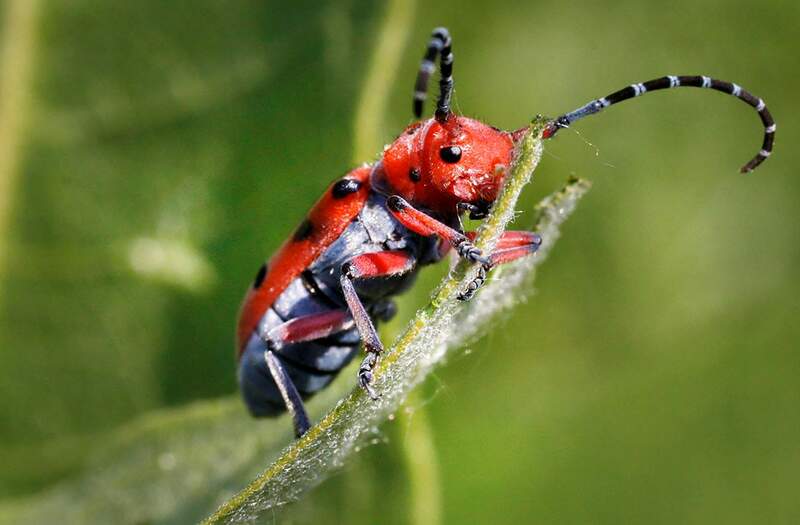 “Really understanding migration patterns and key breeding areas across the western U.S. is integral to developing a conservation strategy,” said Jepsen, whose group is an international nonprofit focused on invertebrate conservation. 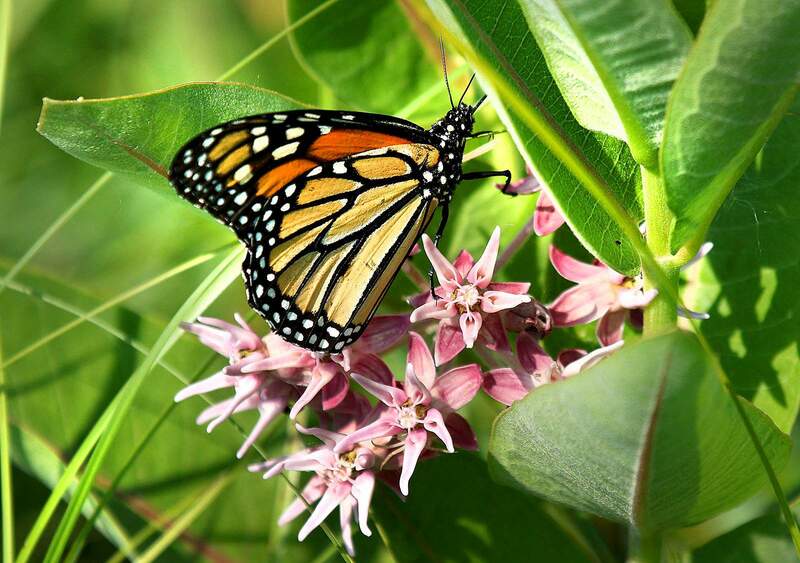 One strategy, in particular, is restoring and protecting the monarch’s only food source, the milkweed plant. In the last few years, the Xerces Society has been holding workshops across the country to educate people about threats to the monarch butterfly and to enlist the help of citizen scientists in documenting the insect’s movements. That led the group to Southwest Colorado late last month, where it held a workshop at the Zink property north of Durango, where milkweed plants in recent years have attracted a population of monarchs. 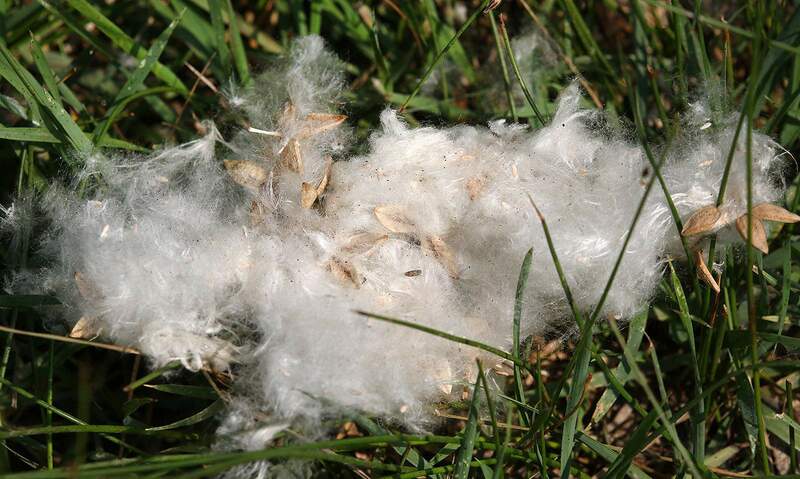 Patti Zink said the milkweed naturally showed up on a few patches on their acreage in the Animas Valley. Fortunately, she was aware milkweed is an important food source for monarchs and kept it safe. At these workshops, Morris said researchers are teaching residents to identify monarchs, then either upload the sighting to an online database or physically tag the butterflies to better find out where they migrate. Contrary to what many people think, it is safe to touch a monarch, Morris said. In recent years, research groups have been providing blue tags that have a unique number that can track the butterfly. Since the program started about a decade ago, nearly 70 butterflies that were tagged have been recovered. None of these was from Southwest Colorado, although one monarch tagged in northern Utah was found in Ouray. Morris hopes more people get involved. And the time is fast approaching: Peak migration season in Southwest Colorado is usually between Sept. 17 and Sept. 29. Stephanie Weber, executive director of Durango Nature Studies, said monarch butterflies have been a subject of interest at the center. 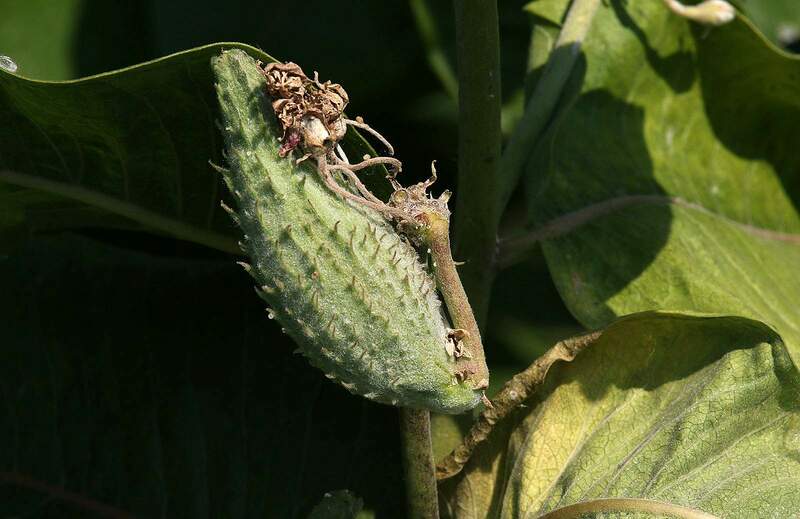 Between the Earth Day Festival in April and Narrow Gauge Days in May, the group handed out 300 milkweed packets. The Durango & Silverton Narrow Gauge Railroad is restoring some milkweed habitat at its rail yard in Hermosa. Owner Al Harper apparently has an affinity for the butterfly, said train spokesman Christian Robbins. Knowing where restoration projects will be most effective is just another benefit of the tracking process, Morris said. And, there’ll be a better understanding how populations are doing in this part of the country. “We welcome everyone to participate,” Morris said. For more information about tagging or reporting sightings, visit swmonarchs.org or email info@swmonarchs.org.